The wait is finally over. 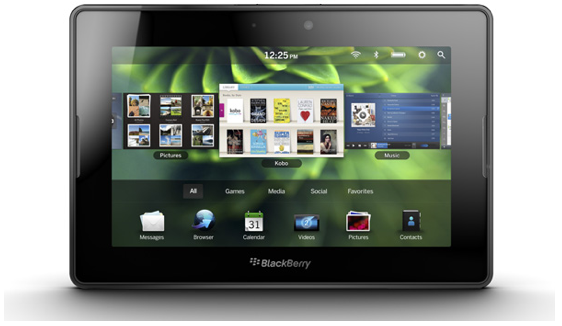 Research In Motion’s (RIM) only tablet, the BlackBerry PlayBook is finally available for pre-order. The Wi-Fi model of the Playbook would be available in 16GB, 32GB, and 64GB flavors, with price tags of $499, $599 and $699, respectively. If you are a tablet lover or have been glued to the update from tablet world, you might notice that the gadget mirrors the iPad 2 pricing exactly. Even though Pre-orders have commenced, the device would physically be available in Best Buy stores starting April 19 in the U.S. and in Canada. I do like the idea of competition but for the fact that it is a smaller display with the same price points as the iPad 2 I feel it’s a bit over priced. Displays are usually the big ticket components and a drop of 30 to 50 dollars would’ve given them an edge over the iPad.